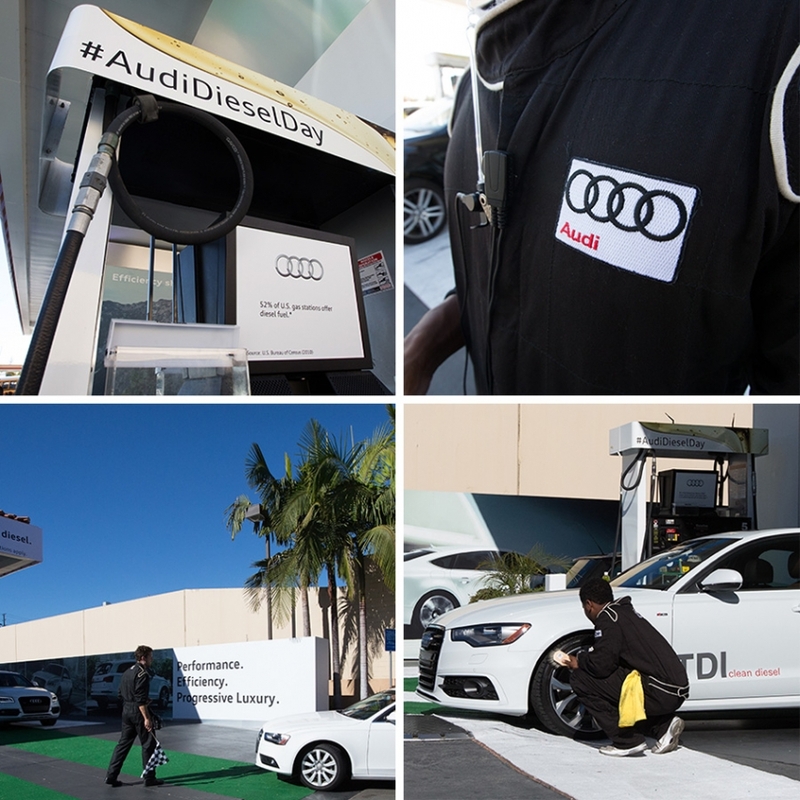 Audi Clean Diesel Day! 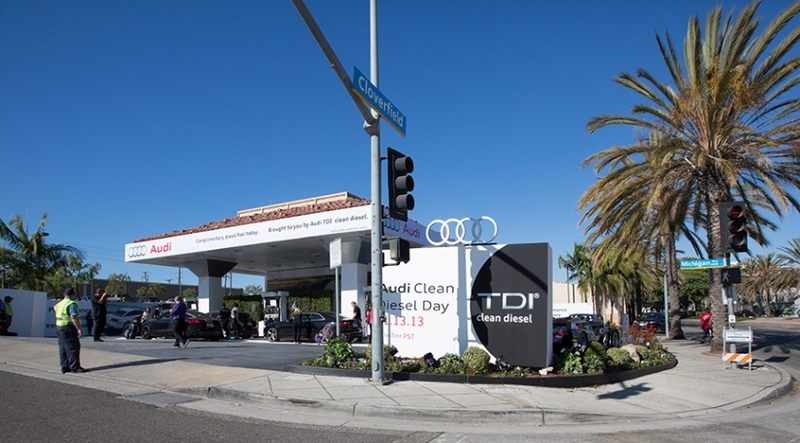 Audi takes over a whole gas station, giving you a personal pit crew and more... free tank of diesel, Handsome Coffee, green juice, detailing, etc in Santa Monica today. 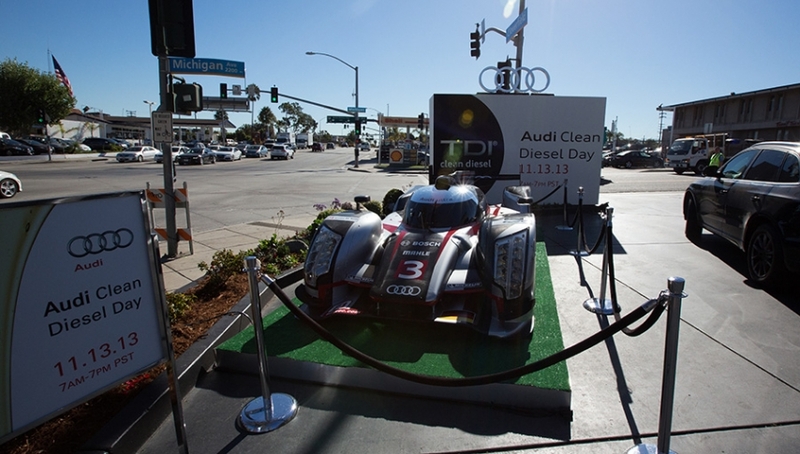 Audi picked us up this morning to go celebrate Audi Clean Diesel Day with them! 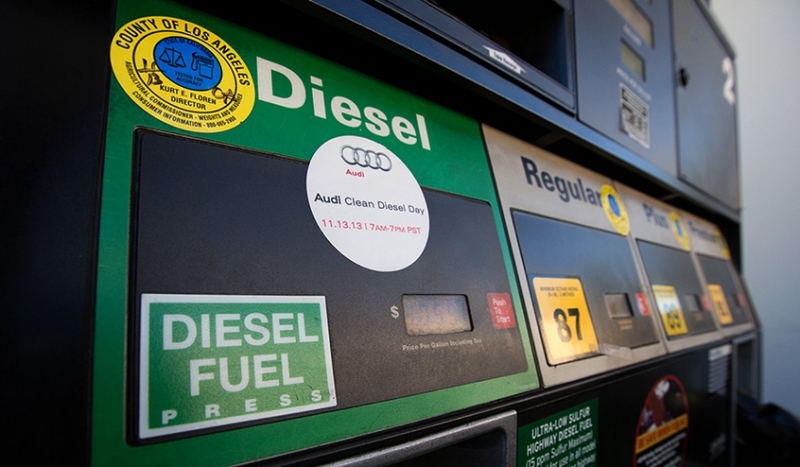 They have taken over the gas station at Michigan and Cloverfield in Santa Monica for the day and are giving away tanks of diesel! As well as offering drivers some detailing (clean your windows and tires! ), Handsome Coffee, Green juices, and more! 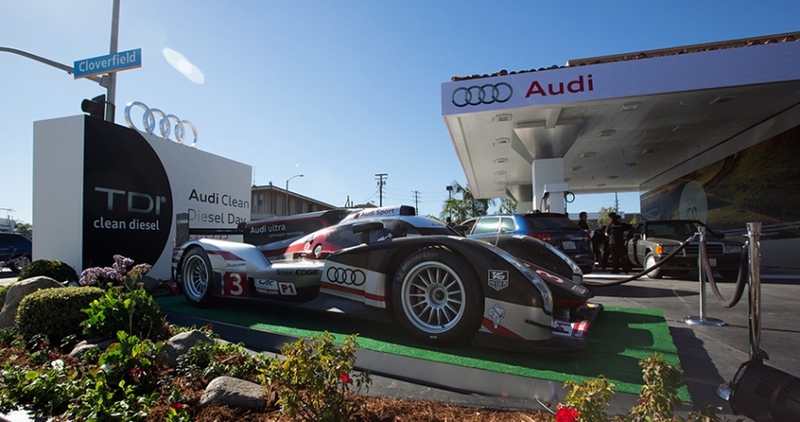 Their Audi R18 Ultra, which raced in the 2011 Le Mans, makes their special gas station hard to miss. 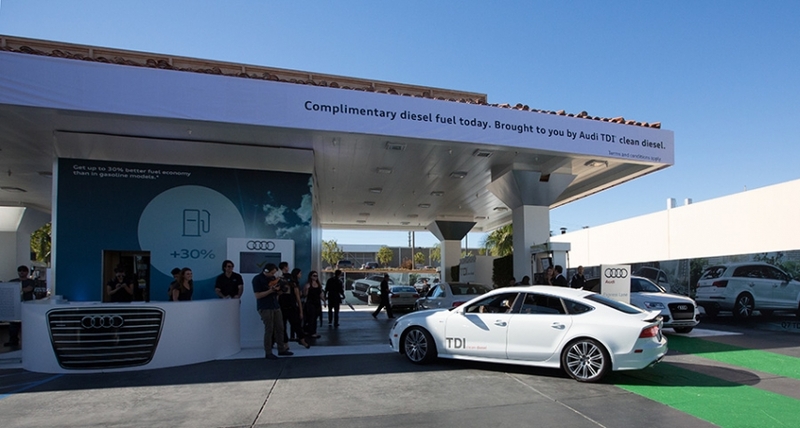 They left no detail unbranded/designed ~ fully wrapping the gas station and dressing the assistants like your personal pit crew, and flagging in you in from the street. 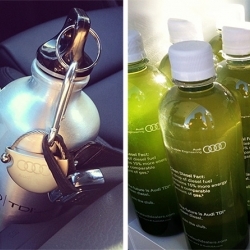 Here's a pic of some Audi goodies they gifted us ~ and an instagram of green juice from Natalie Stone. 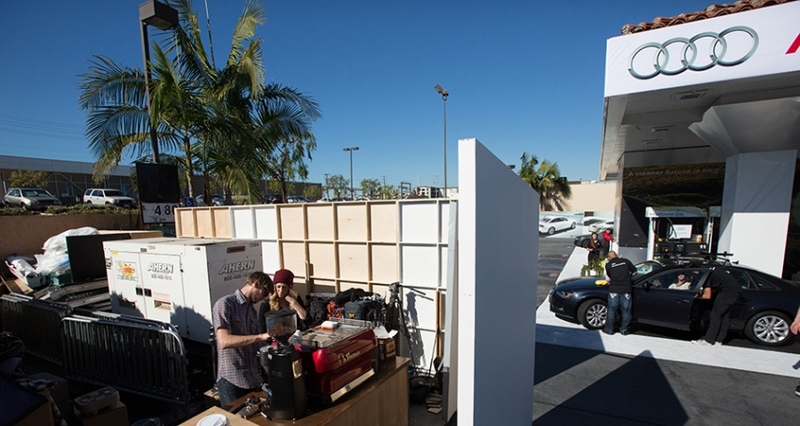 The behind the scenes was madness, here's Handsome Roasters hard at work behind a secret wall! 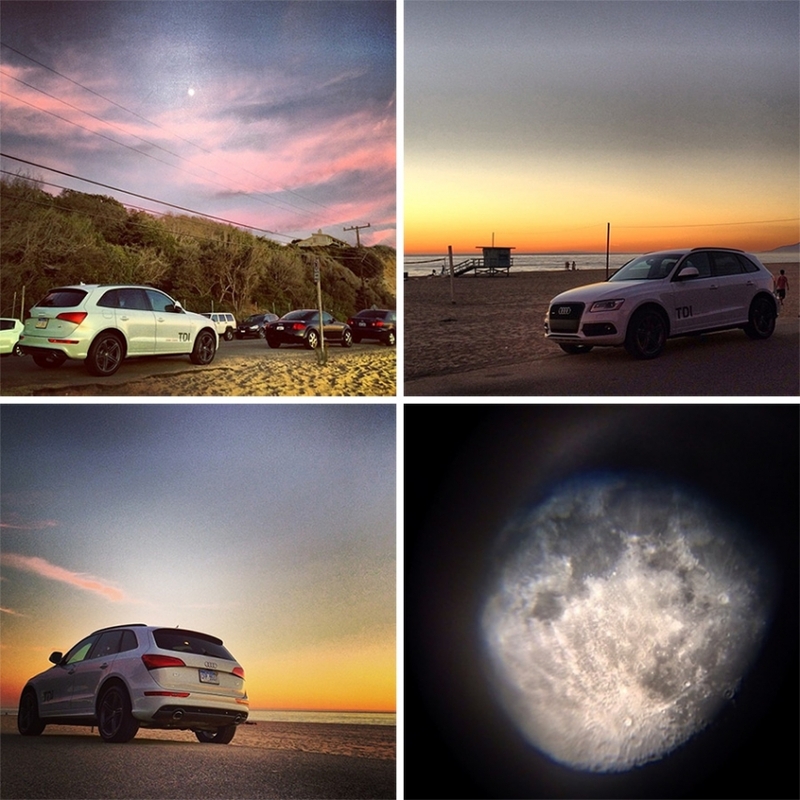 To complete our Audi Clean Diesel Day, they let us borrow a 2014 Q5 S-Line TDI for the day, so here's a peek at the stunning views we took in with it... including a peek at the moon we enjoyed through a telescope! 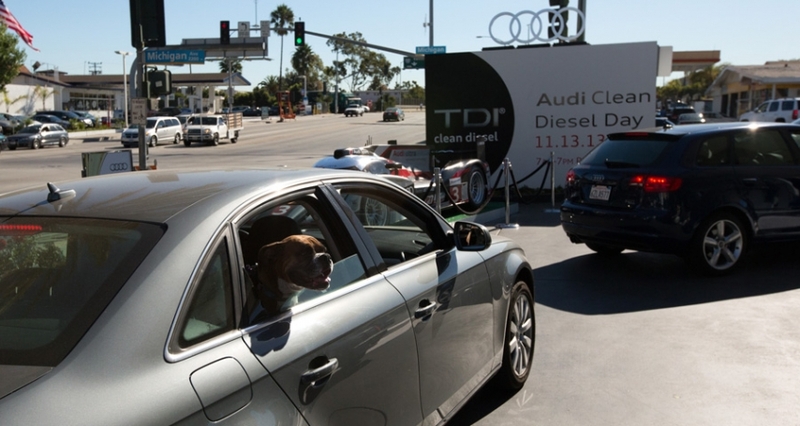 The handling was awesome, even when we wandered the unpaved canyon roads in Topanga/Malibu.